Description: Militia company under the direction of Colonel Woodcock, made up of a group of deputized citizens. 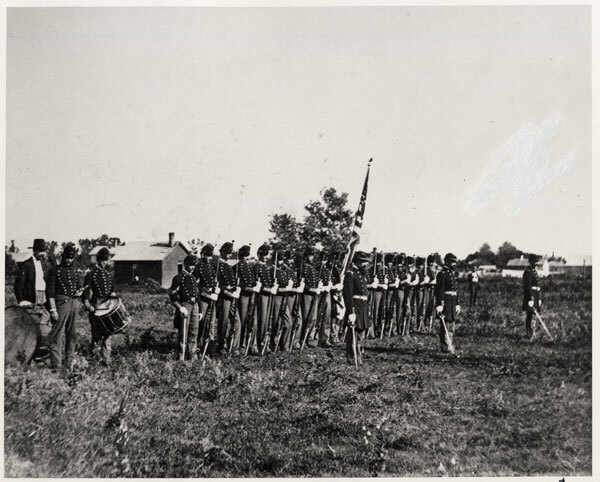 In drill formation near Market and Elm Streets; all are wearing Civil War period uniforms. Keywords: Wichita; government; military; organizations, clubs and groups; people; soldiers; American flag; union; fife and drums. Description: Residence identified as 433 South Market Street; owned by C. D. Phillips, owner of the Wichita Cracker Company. 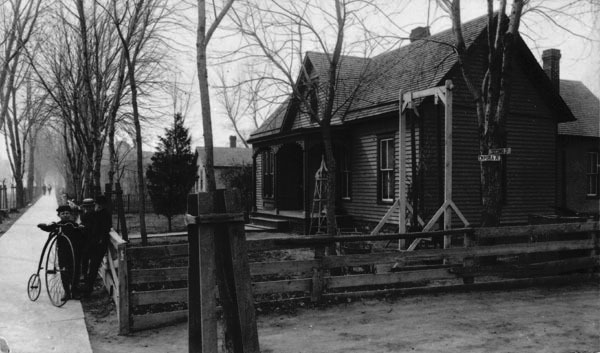 Members of his family are grouped near the house. 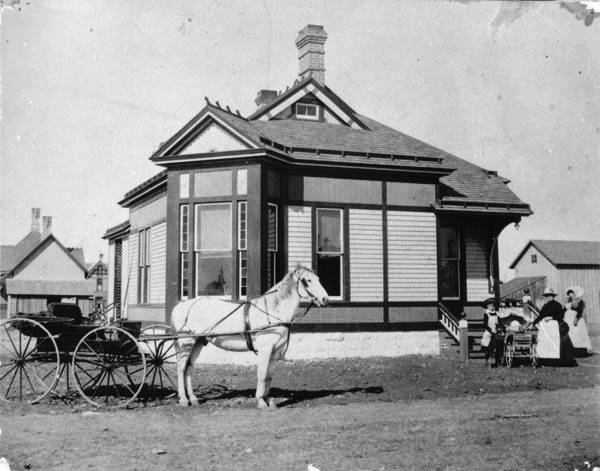 Keywords: Architecture, Victorian, people, houses, horse and buggy, baby carriage, dog, sunbonnet, Wichita. Description: Residence at 259 North Emporia Avenue. 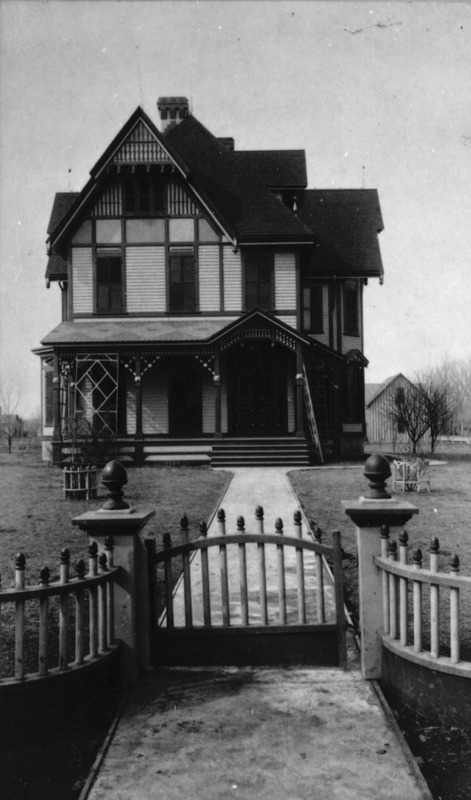 Identified as the first home of Alfred W. Bitting, who, with his brother Charles, established a long-lived clothing business on the northwest corner of Douglas Avenue and Market Street. Keywords: People, business and industry, houses, children, high-wheeled bicycles, Wichita. Description: Portrait of an unidentified child. 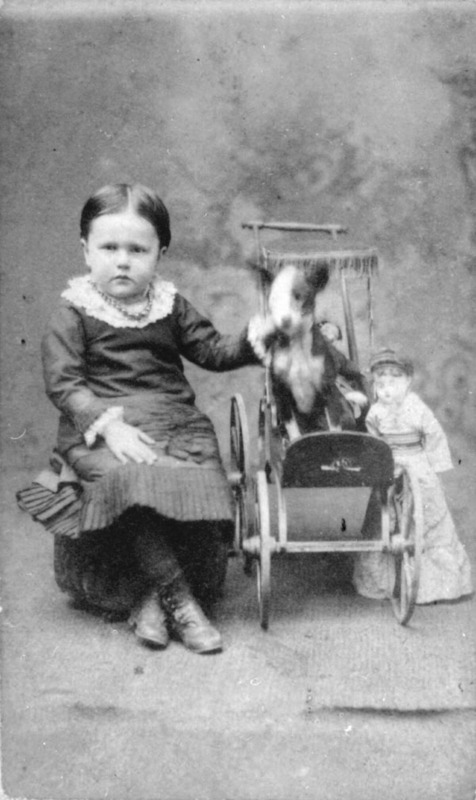 A dog is seated in a doll carriage at her side. Keywords: Children, fashion, toys, Wichita. 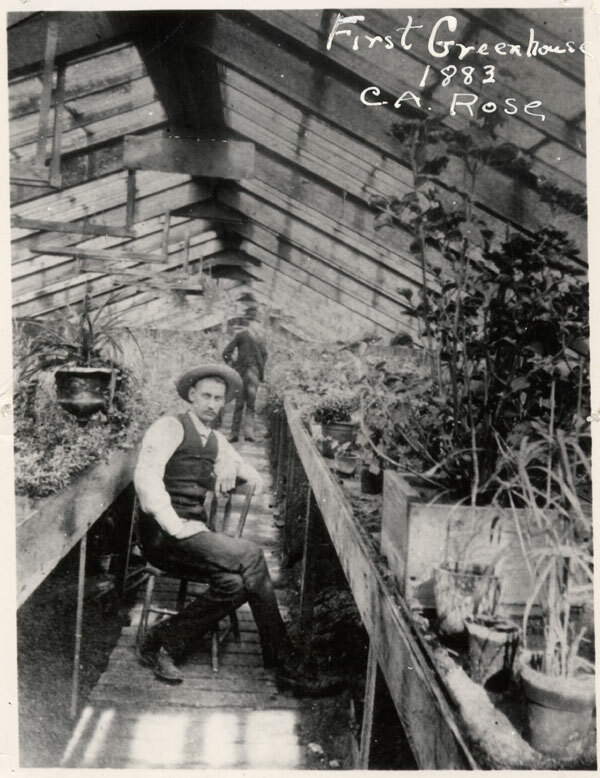 Description: Interior of a greenhouse owned by Charles P. Mueller and C. A. Rose. 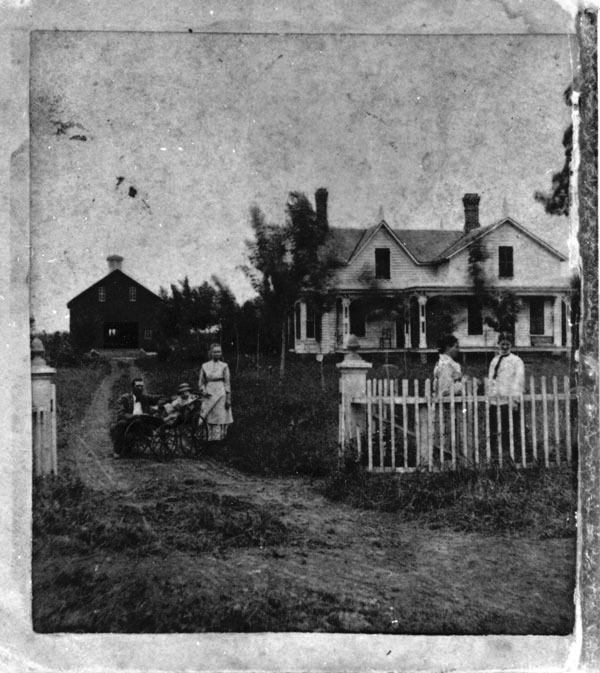 Located at the intersection of Guthrie and High Streets (Guthrie is now known as Hood, High Street may have been in vicinity of present 23rd Street). C. A. Rose is in foreground, C. P. Mueller in background. Keywords: Wichita, agriculture, business and industry, people, plants, florists. Description: Team members wearing uniforms and roller skates are posed with their sticks, ball, and goal posts. All are identified (on file). 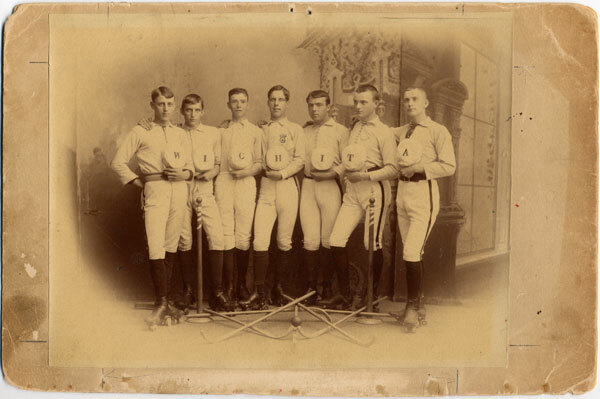 The term "Western Polo" may have been a regional name for "Ball and Cane" hockey, as traditional roller hockey is sometimes known. It is still played today using box skates and a hard ball instead of a puck. Keywords: Wichita, organizations, clubs and groups; people; sports and recreation; men; hats. Description: Portrait of Nereus Baldwin, proprietor of Baldwin & Son Photography Studio with his son, Fred Baldwin. Description: Portrait of William F. "Fred" Baldwin as a young man; son of Nereus Baldwin. 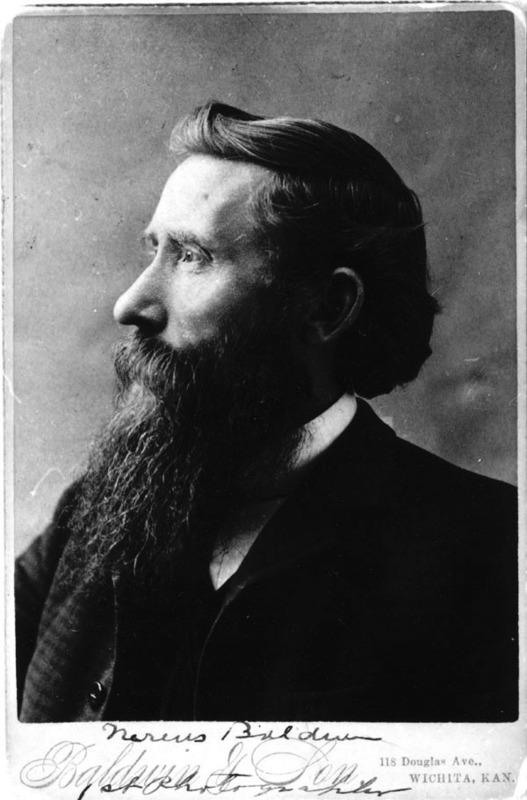 Joined his father in business as Baldwin & Son in about 1885.